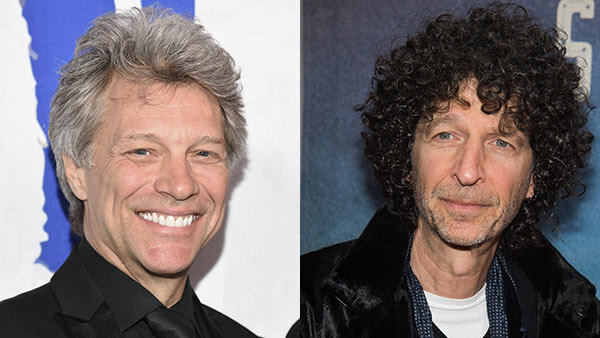 NEW YORK (WPVI) -- Jon Bon Jovi says Howard Stern was always his first choice for inducting Bon Jovi into the Rock and Roll Hall of Fame. The New Jersey rocker said on Howard Stern's SiriusXM show Wednesday he felt the career of the band and Stern's career were parallel over the years. Stern turned him down initially, because, according to Stern, he's been asked before and said no. Stern says he also was afraid he was going to mess it up and Bon Jovi would be miserable. The Rock Hall inductions are April 14 in Cleveland. The Cars, Dire Straits, The Moody Blues and Nina Simone also will be inducted. Bon Jovi is set to perform in Philadelphia in May.